Interchangeable with high quality AR 10 (B series only) parts. The magazine well opening is extended with a large bevel that provides a guide for easier magazine insertion. Machined ribs at the front of the magazine well for a secure grip. 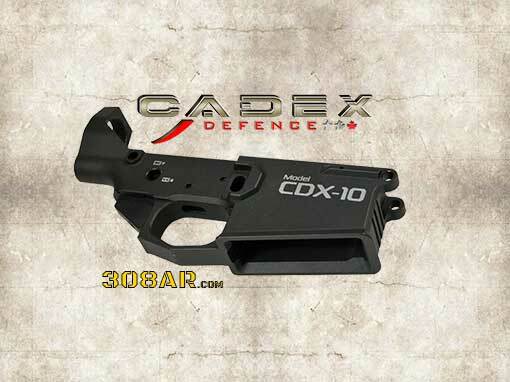 The CDX-10 WILL NOT WORK WITH DPMS 308/AR 308 UPPERS. It is truly AR-10 compatible.